Football season is right around the corner as teams play their final pre-season games and prepare for the 2018 campaign. As always, the National Football League off-season was a crazy one starting from the draft floor to players switching teams via trades and then free agency. TSN.ca takes a look at some of the teams and players who ended this off-season as either winners or eventual losers heading into the new season. There’s already a lot to like about this Vikings team from last season. Minnesota made it all the way to the NFC Championship game before losing to the eventual Super Bowl champion Philadelphia Eagles. 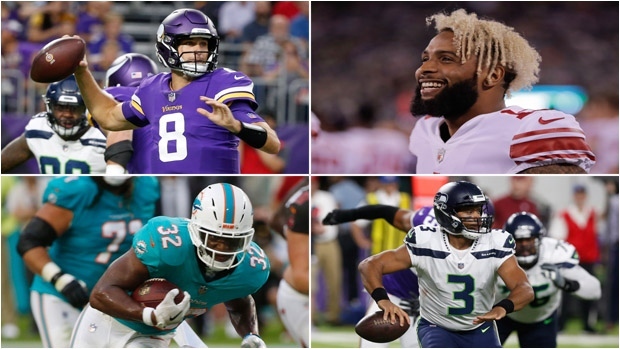 But this past off-season, the Vikings somehow became an even better team, which could potentially make for an even better run to the Super Bowl. A franchise quarterback has long eluded the Vikings since their last big playoff push in 2009 with an aging Brett Favre. Since then the team has gone with the likes of Christian Ponder, Teddy Bridgewater, Sam Bradford and Case Keenum, to name a few. Although the latter in Keenum posted Pro Bowl numbers last season, he was not the quarterback they were looking for. The Vikings signed Kirk Cousins from the Washington Redskins to a three-year, $84 million deal. 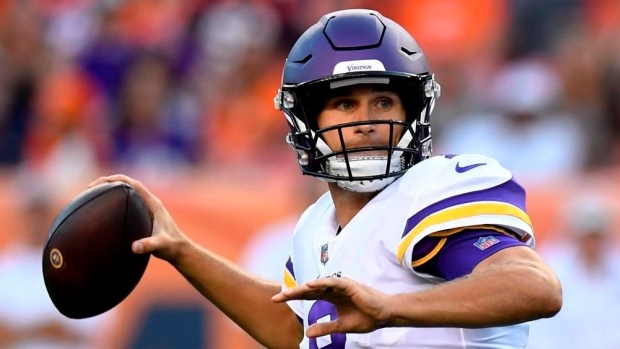 Regardless of the debate on whether or not Cousins is a top-10 quarterback, he was the QB the Vikings needed and was the best player on the open market. He’s an instant upgrade from Keenum and gives Minnesota’s already strong receiving corps an even bigger boost. On top of that, Minnesota also added former Pro Bowler Sheldon Richardson, the 2013 defensive rookie of the year, from the Seattle Seahawks on a one-year, $8 million deal. If you had to crown an off-season champion, it would be the Los Angeles Rams. It seems the Rams did everything right to propel themselves to a possible second straight NFC West title. Their most important business move came with the four-year contract extension of running back Todd Gurley, the reigning NFL offensive player of the year. Locking up arguably the best back in football sent shockwaves around the league that the Rams meant business. Then the Rams acquired Brandin Cooks from the New England Patriots. A natural deep threat was exactly what the Rams needed to give quarterback Jared Goff a weapon. Sammy Watkins was supposed to be that guy for the Rams but he failed to make an impact last season. 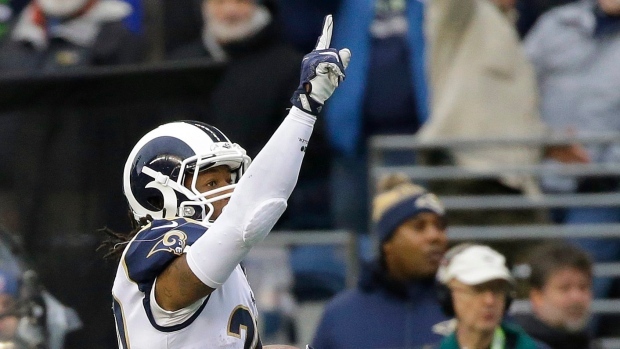 Even though Watkins could possess that potential someday, if he can deal with his injuries, Cooks is much more of an explosive talent and the Rams understood that by signing him to a five-year contract. It doesn’t stop there for the Rams. Los Angeles also managed to pick up defensive tackle Ndamukong Suh, one of the most sought after free agents. With their addition of Suh, the Rams could potentially have the scariest interior defence in the league. That, of course, is with Aaron Donald in the fold and, according to reports, it looks like the Rams could reach an agreement with Donald in the next few days. The Browns are already winners in the off-season because realistically there’s nowhere to go but up after last year’s 0-16 season. But in all seriousness, the Browns had one of the better off-seasons we’ve seen in a while and there’s a lot to be excited about this young team. Of course, we first have to mention the draft and first overall pick Baker Mayfield. Yes, there will always be debate after debate on who actually should have been selected number one, or even if Mayfield was the best quarterback available, but for the Browns he was their guy. Having a franchise quarterback in the NFL is essential. Guys like Tom Brady, Drew Brees and Aaron Rodgers have all dominated the league through the years and their respective teams often get into the playoffs on the backs of their performances. 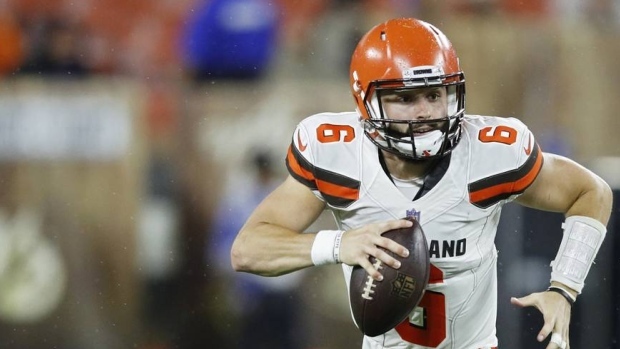 Although Mayfield hasn’t secured the starting spot just yet, with former Buffalo Bill Tyrod Taylor in the mix, he will get his chance to show Browns fans whether he’s for real or not. Apart from the questionable first overall pick, the Browns had a pretty strong draft. Although there were questions as to why they didn’t select Bradley Chubb fourth overall, Cleveland also picked up running back Nick Chubb in the second round. They also targeted guys in positions they were weak at, including offensive lineman Austin Corbett and cornerback Denzel Ward, and going that route might in fact benefit them in the long run. The biggest move the Browns made, however, was acquiring the services of talented wide receiver Jarvis Landry. Cleveland needed a number one option and Landry is the player. He will give the Browns a legitimate passing threat and could eventually create some chemistry when Mayfield gets his chance behind centre. 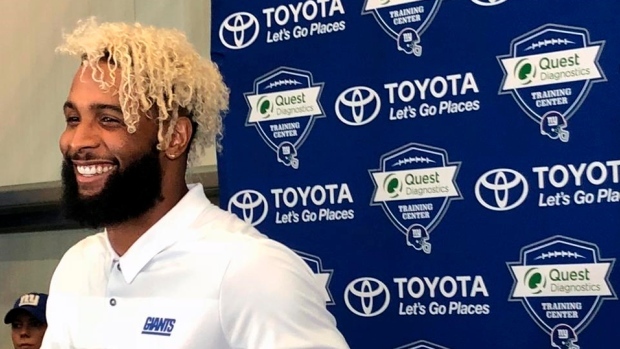 It looked like the contract saga with Beckham was going to last an eternity, but he finally agreed to a deal with the New York Giants. Beckham comes out of the off-season a huge winner after the deal he signed. At a record five years and $95 million, the Giants wide out becomes the highest paid receiver in the game, more than Mike Evans’ $82 million contract with the Tampa Bay Buccaneers. His guaranteed salary rounds off at $65 million which is 72.22 per cent of his contract, by far the most guaranteed money a wide receiver has ever seen. The Seahawks could very well be the biggest losers of the off-season just because of the sheer number of players they lost. The Legion of Boom is officially no more after most of the stars on defence departed. Seattle lost Richard Sherman, Michael Bennett and Sheldon Richardson to other teams, while Kam Chancellor unfortunately retired. Only Bobby Wagner and Byron Maxwell remain from that impressive defence. The Seahawks will look a lot different on the defensive side of the ball in 2018 and will most likely struggle, as they did last season. On the offensive side of the ball, the Seahawks retain a lot of the same pieces but are still projected to have a rocky start. Seattle traded away tight end Jimmy Graham to the Green Bay Packers only to replace him with Nick Vannett. On top of that, wide receiver Doug Baldwin is dealing with knee problems that could keep him out of the lineup. 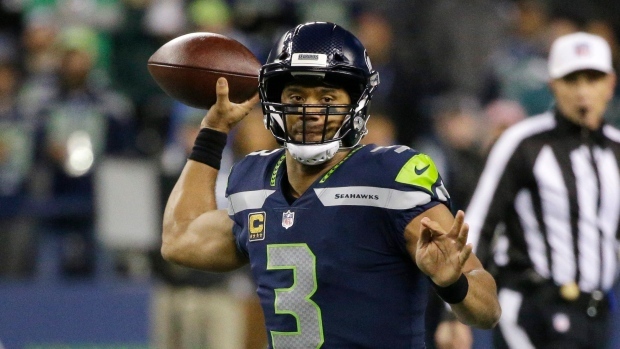 QB Russell Wilson would then be missing his biggest offensive threat. The pairing of Chris Carson and Rashaad Penny on the ground could be successful, but without a strong passing game, defences will be able to pressure Wilson and Seattle’s run game. Seattle is on track for a definite rebuild. In the ever fluctuating AFC East and with the many changes the Bills, Patriots and New York Jets have made, it’s the Dolphins that have lagged behind. It does look like the Bills, Jets and Dolphins could all be rebuilding or retooling in some capacity, but it seems like Miami is missing the boat and could very well be in for a painful year. 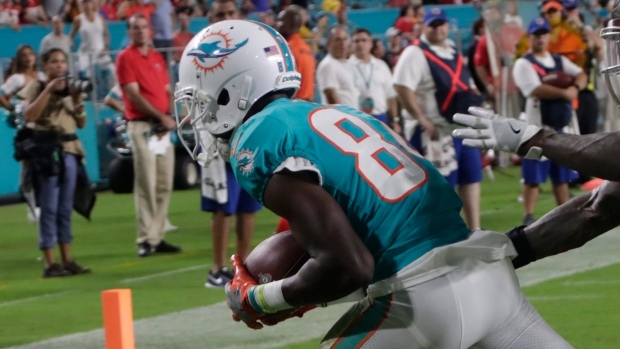 The Dolphins have been adamant on changing their culture. That could pay off eventually, but so far it doesn’t look that promising. The team traded away their most talented wide receiver in Jarvis Landry and then overpaid for two wide outs to replace him. Miami paid Albert Wilson $24 million (three years) and Danny Amendola got $12 million (two years). They also released Ndamukong Suh, who is one of the most talented interior defenders in the league. Of course, Suh gets a bad rap but losing a talent like that without getting a full replacement in return is a huge loss. Last season was a total washout for Tampa Bay and it already looks like 2018 might be the same long draining season again. 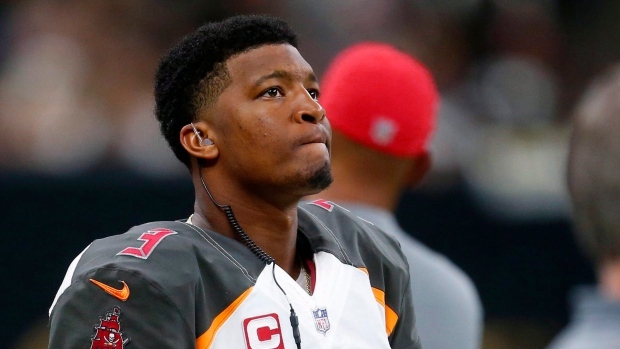 It all begins with QB Jameis Winston. The former first overall pick has not played like one in recent seasons, and starts the year suspended under the league’s personal conduct policy after touching a female Uber driver two years ago. It’s something you shouldn’t be seeing from the leader of your football team, or any player in general. On top of that, the Bucs decided to move on from running back Doug Martin but failed to bring in a reliable replacement as their second-round draft pick Ronald Jones has already struggled in the pre-season. Tampa Bay also failed to re-sign pass rusher Robert Ayers or fix their poor secondary. Considering they arguably play in the toughest division in football, the Bucs could finish with the worst record in the league. Bryant has gone from being one of the most electrifying wide receivers in the game to a player who can’t seem to get a contract. 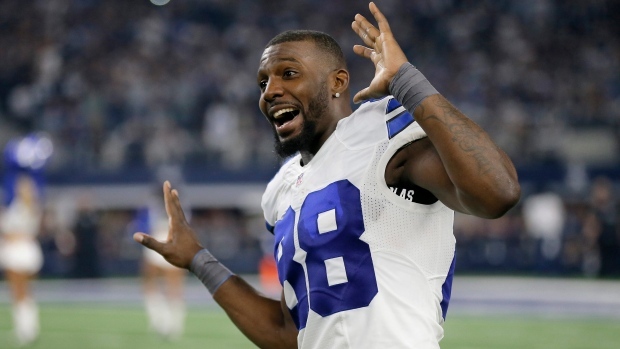 The 29-year-old was released by the Dallas Cowboys and has failed to secure a job with a team for the 2018 season. There have been rumours that the Browns would sign him, but according to reports he would not sign a deal for $5 million. On Twitter, Bryant said he would play this year but will wait a bit later until he signs. He’s most likely playing hardball to eventually land a bigger paycheque, but so far it isn’t working out and he’s definitely fallen from grace.